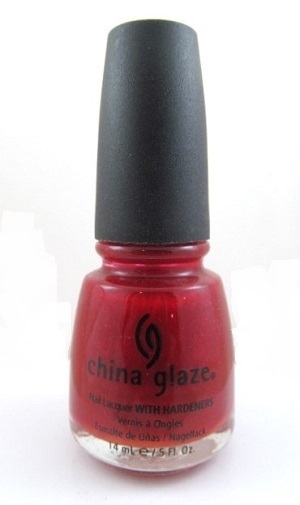 China Glaze Nail Polish, Power of Red, CGX224, .50 fl. oz. Vivid medium red shimmer nail polish color.